Some kids dream about growing up to become athletes, singers or doctors. Me? I dreamt about college. I recall with great detail the day when my second grade teacher talked to our class about what we wanted to be when we grew up and about the opportunities we could have if we went to college. I was mesmerized as she explained what college life would look like. I came home from school and told my mother I not only wanted to go to college, but I wanted to work in a college when I grew up. Fast forward nearly 15 years later, I was a first-generation college student, college employee and the first in my family to graduate college with a bachelor’s degree. Nevertheless, the desire to accomplish this goal lingered, and the need for me to remain competitive in my career continued to grow. I soon realized that the cost of not chasing this dream would be greater than the sacrifices of going back to school. After all, there would be no “perfect time,” so my husband and I had a conversation about me completing my degree online. He assured his support however it was needed. He understood my desire to further my education and how it could impact our future. He proposed assuming responsibility for tasks I normally performed in the evenings so I could study and complete my homework. So, it was decided. I was going to grad school. A desire to attend an authentically Christian online university was a key factor in choosing to attend Colorado Christian University and earn my master’s degree in Business Administration. After a few weeks into the program, our family found its groove – easy to fix dinners, my husband taking on evening bedtime routine tasks, and carving out time to study each week. Halfway through the program, we found out I was expecting our second child. I became a pregnant full-time working mother and grad student. In other words, I was really tired. As I reflect back on how I was able to manage work, school and family, I have to admit the online format and structure of taking one class at time were essential to staying enrolled while keeping my family and career a priority. In fact, most of my classmates were working full time and/or raising families of their own. It did not take long for me to realize that I was in good company. I learned how to say “no” to unimportant tasks and requests that came my way, something I struggled with doing in the past. I decided to focus on investing time in the priorities I had in my life and to act on the desire God placed in my heart. I became more organized, more disciplined in my ability to focus, and more prepared as a result. I found myself praying Ephesians 3:20: Now all glory to God, who is able, through his mighty power at work within us, to accomplish infinitely more than we might ask or think. With the support of my family and friends and the power of the Holy Spirit, I was able to complete my MBA – just days before giving birth to my baby girl. My courses at CCU helped me to grow in my faith and advance in my career. After graduation, I received a promotion to vice president. But what’s more is that I was able to set an example for my children to pursue their goals in the face of challenges. If I were to give advice to other moms considering going back to school, I would say to prioritize your commitments, organize your schedule around those commitments, stay disciplined to keep to the plan, and seek the Father’s help every step of the way, remembering that he will give you strength and endurance. When you do that, time is not an obstacle, and you won’t have to sacrifice your family to chase your dreams. Colorado Christian University is a Christ-centered higher education transforming lives to impact the world with grace and truth. CCU Online has over 80 online academic options that are designed for adult students with flexible and accelerated classes, making it possible to complete a degree while balancing all of life’s demands. Take advantage of a special tuition discount as a MOPS member and get started at ccu.edu/mops. 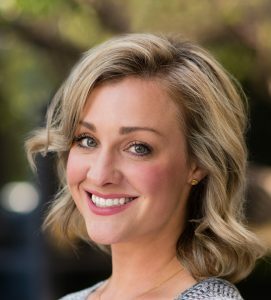 Allison Sievers is a mother of two, a vice president of Enrollment and Marketing, and an M.B.A. graduate of Colorado Christian University’s Online program. 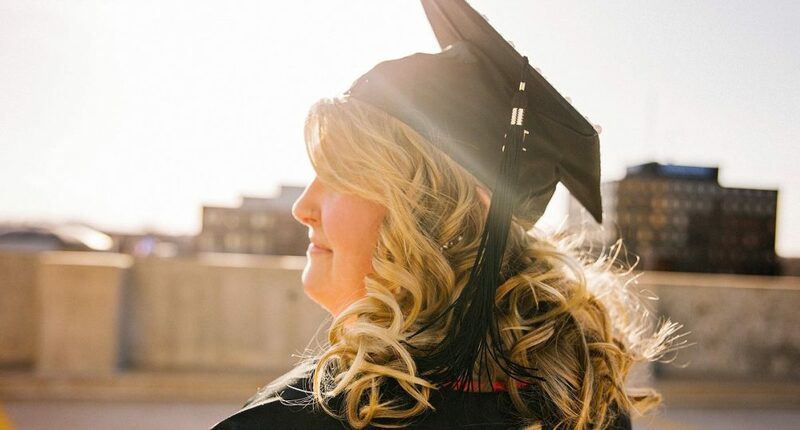 Allison is passionate about seeing lives changed through the power of Christ-centered higher education and helping adults to pursue their academic and career goals.